I started getting the house ready for the holidays this past week. I bought my Christmas tree, started putting up decorations, and turned on my chili pepper lights! Yes, I’ve had those lights for about 10 years and they still light up. 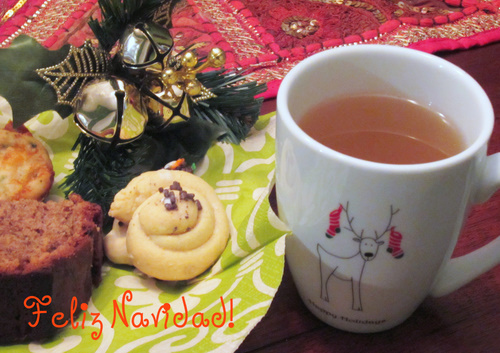 To kick off the festivities that always surround the holidays I hosted a ginger tea party at my place last night with a small group of family members. Ok, this was not of the pinkies raised variety with cute little sandwiches (which I love) but a traditional Dominican holiday gathering that has gone on in my family since I was a kid. Visit any Dominican household in the month of December and you’re sure to be offered a very spicy cup of jengibre (which by the way just means “ginger” and also the name of event). Usually the events are held weekly with someone from the family hosting at their home and is done until Noche Buena (Christmas Eve). Jengibre is always served with plain soda crackers but I always use it as an opportunity to try new appetizers or desserts before serving the tea. This breaks a little from tradition since the tea is the main focus of the event but it’s a nice way to keep everyone around a bit longer and marks the beginning of the holiday season. This is a time to sit back and relax, catch up with friends and family, and enjoy a hot, spicy drink on a chilly December evening. It’s such an easy drink to make and the house smells wonderful afterwards. 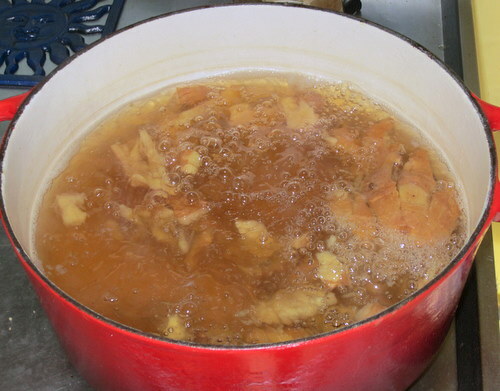 To make Jengibre, add about a pound of mashed up ginger root to a pot filled with water and let boil for about an hour. You’ll boil off about half the mixture. You can also add a couple of cinnamon sticks if you like but I usually go without. The longer you let it boil, the spicier the tea. Be sure to mash up the ginger well with a wooden mallet or anything heavy that will break up the root. You want to extract as much of the spicy juices as possible when it’s boiling. I can tell it’s done when color turns a dark caramel or dark amber. Pour yourself a cup and sweeten however you like. Enjoy the holidays! Traditions are so important in our family and looking forward to our next Jengibre! 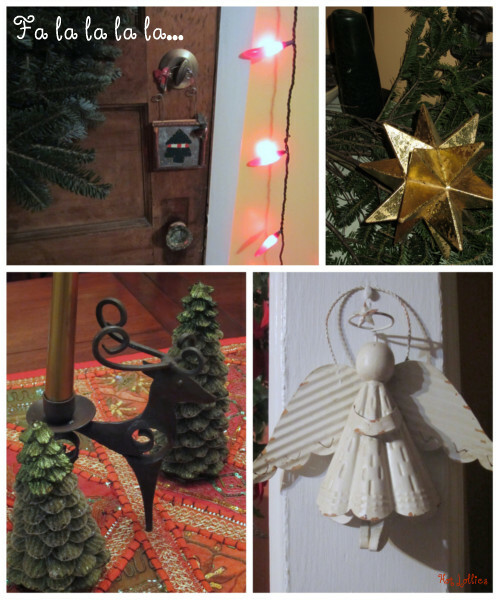 What are holiday traditions in your family? Please share, I’d love to hear about them!